Design From Tohin Shoji Co., Ltd.
HC blower is originated in Japan (Tohin Shoji Co., Ltd., one of investors of B-Tohin) in 1950. Till now, more than 10 million sets of HC blower have been manufactured. 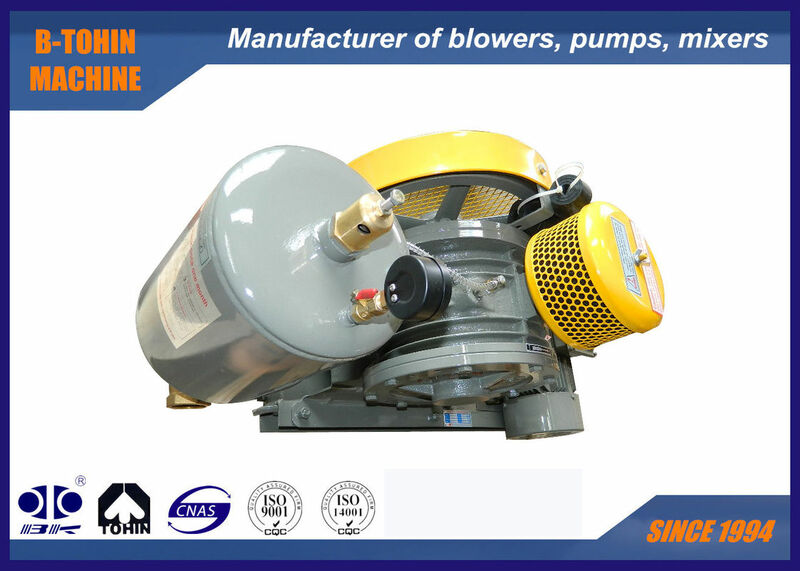 B-Tohin has been in this blower industry since its establishment in 1994 by importing advanced technology and equipment from Japan. And after more than 20 year's marketing, this kind blower is testified as a product of good and reliable performance. The blower is so designed and constructed that air is sucked, compressed and discharged repeatedly while vanes protruding from the grooves of rotor are coming in and out by revolution of a rotor (rotating body) set eccentrically inside the cylinder diameter. A minimum required quantity of oil is dropped to an oil dropping nozzle (imported from Japan), then dropped into the cylinder always while operating in order to make lubrication for the purpose of preventing heat and noise from generating. In the same time, it is free of circum-fluence of air in cylinder. HC Rotary blower's structure is exquisite. 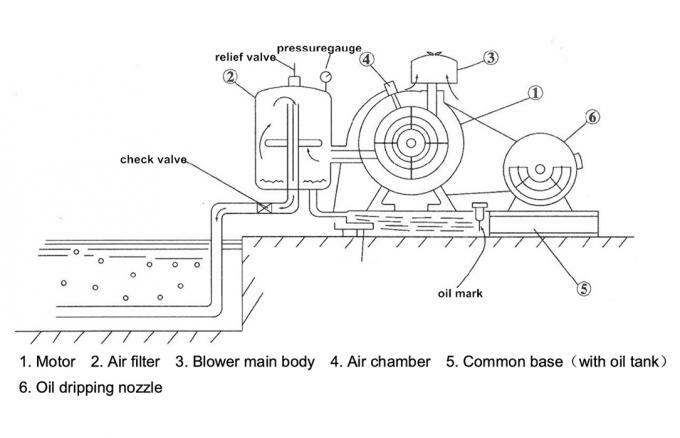 It mainly consists of air chamber, electric motor, air filter, blower main body, base (and oil tank), oil dropping nozzle, pulley and other connection parts.